PETALING JAYA: Leading the charge in Sarawak is the Chief Minister himself, Tan Sri Adenan Satem, who says Putrajaya-led policies have not kept faith with the spirit of the Malaysia Agreement and the rights and needs of the state have been neglected as a result. This sentiment is echoed in Sabah, and it is obvious to many observers that there is a growing demand in both states for greater autonomy to be given to Kuching and Kota Kinabalu. This is not an overnight phenomenon. Over the last few years, this sentiment has been articulated in many forums and over the internet. Clearly there has been a growing awareness of local identity among Sarawakians and Sabahans, and while cries of “Sarawak for Sarawakians”, for example, have not taken a distinctly anti-Putrajaya tone, they are at the same time an assertion by people in the two states that they, and not the federal govern­ment, are better placed to look after their own interests. The federal government is aware of this rising tide of unhappiness and has pledged to rectify errors of the past and bring more development to the two states. The Prime Minister himself has made many trips to the states to promise more money and more autonomy for the state governments. But critics of the federal government al­ready point out that what Datuk Seri Najib Razak is promising is nothing new. They have heard this refrain many times before, especially during the run up to a general election or when the federal government is under pressure from the Opposition. But the neglect has continued, year after year, decade after decade. Critics of the federal government focus on four main points. First, they argue that Sabah and Sarawak did not join the nine states of the Federation of Malaya to form Malaysia. Rather, they joined the entity known as the Federation of Malaya to form Malaysia in 1963, and therefore, have a status that is different from the states in the peninsula. 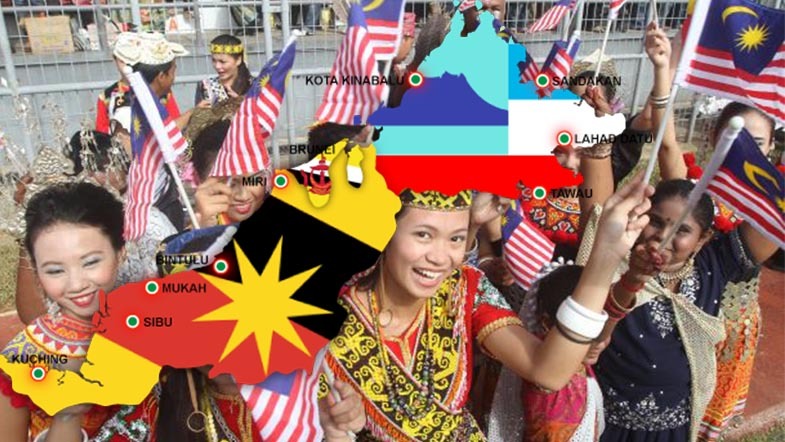 However, they argue, Putrajaya has regarded them as having the same status as each of the nine states, which is wrong. Other criticisms of Putrajaya are focused on the issues of immigration, tariff and finance. Under the terms of the founding Agreement, entry into the two states needs the approval of the state governments. In the case of Sabah, clearly the state gov­ernment has limited or no control over the influx of illegal immigrants from Indonesia and the Philippines. Under the 1963 Agreement, Sabah and Sarawak would also retain control over its own finance, tariff and taxation. However, what has since happened is that the federal government has assumed total control over economic issues in the two states. In June, Adenan repeated Sarawak’s request for a 20% petroleum royalty. The figure is 15% more than the current 5% that Sarawak and Sabah receive annually. His request for autonomy in education has also received widespread support from Sarawakians and also academicians from the peninsula. Since the 1970s, education policies have been determined by the federal govern­ment, but many of these do not conform to the wants or needs of the people in Sabah and Sarawak. The sense of disdain towards federal management has now entered politics. A “Halau Parti Malaya” campaign was founded to kick out any peninsular-based political party from the Borneo states. Umno, MCA and MIC of the Barisan Nasional coalition are all directly related to the peninsula, as are PKR, DAP and PAS of the former Pakatan Rakyat coalition. DAP has established a foothold in both states. However, compared with elsewhere in Malaysia, the party in Sarawak and Sabah has been given a certain degree of independence in decision-making. “Can you imagine that there is not even a highway in Sabah or Sarawak? In the 11th Malaysia Plan, the Prime Minister mentioned a Pan-Borneo highway and that has been going on for years. But it has never been built,” says Zairil Khir Johari, the DAP MP for Bukit Bendera in Penang. Zairil says the two states should have autonomy over many areas which they currently do not have. These include edu­cation, healthcare and welfare. People have been voting for state gov­ernments, expecting the new government to provide better facilities. The fact is, the two state governments have little control over their affairs, he says. He calls for greater decentralisation, and says greater autonomy should be given to the two state governments to empower them. More importantly, he says, there should be revenue sharing, as currently, their taxes all go to the federal govern­ment and nothing is returned to Sarawak or Sabah. UK-based Borneo rights activist, Doris Jones, is a strong proponent for greater autonomy for Sabah. According to Jones, the government has long sidelined the existence of the 20/18 points memorandum, without which there would have been no Malaysia. According to her, the federal govern­ment has violated several points under the agreement. This includes immigration, education and finance. Jones highlights that the people of Sabah and Sarawak have long been prac­tising English as the medium of instruction, and they want the language to remain such. Critics have pointed out that Sabah and Sarawak are the richest states in Malaysia, yet 52 years after the formation of Malay­sia, they remain the poorest. For political analyst Prof Datuk Dr Moham­mad Agus Yusoff, a lot of the grieviences have been caused by differences in percep­tion over the Malaysia Agreement. According to some critics, the Agree­ment was supposed to be reviewed once every 10 years – and it has not happened. Prof Agus says that while this statement is true, the blame should be put on previous state leaders who did not raise the issue. He adds that a different understanding of the Agreement happens when there are linguistic misunderstandings. The debate, according to him, is wheth­er Sabah and Sarawak formed Malaysia as equal partners with Malaya and Singapore, or whether they joined Malaysia as equal partners of other states in Malaysia. Agus argues that while it is a painful fact that many Sabahans and Sarawakians remain poor, the blame should not be put on the federal government alone. “They should also point fingers at their local leaders whom they voted in to run the state. These leaders failed to deliver on their promises,” he says.